People need to be monitored, or they'll repeat the mistakes of the Desolation, a centuries-old war that killed billions of people and destroyed civilization. Skye is part of the Society, the hi-tech, nanite-endowed group responsible for making sure that the millions of surviving people—grubbers—are confined to the ancient, decaying cities where they can be watched to ensure they aren't redeveloping the weapons technology that came so close to extinguishing life on the planet. When the Society's monitoring programs pick up troubling developments in one of the grubber cities, Skye is ordered in to deal with the man responsible, but what—and who—she finds once she arrives will change everything. 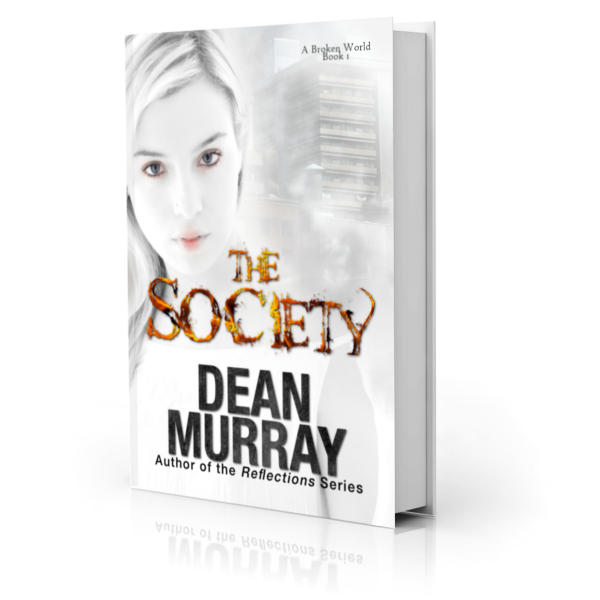 The Society is a clean Young Adult Dystopian novel.